Why merge? More resources, more funding and less costs? What are the relevant considerations? Collaborating and auspicing - what are they and when are they appropriate arrangements? Nina’s areas of practice are corporate, commercial and not-for-profit/charity law. She also has experience in litigation and employment law. Nina regularly advises on multi-faceted, high value commercial transactions and is focused on cutting through the complexity of her matters to the main issues, to achieve the best results for her clients. She listens well to her clients to understand both their commercial and personal needs, and provides them with direct and honest advice about the best course of action. 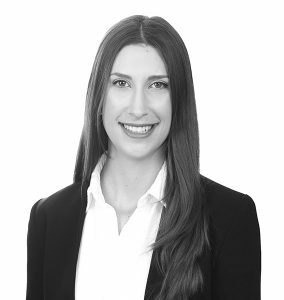 With extensive experience in the not-for-profit and charity sector, Nina also assists schools, churches, religious denominations, PBIs and other charities in many aspects of their operations – including establishment, mergers/acquisitions, governance, structuring and tax concessions. Nina has served on multiple not-for-profit and charity boards during her time in the profession, including the board of a higher education institution. She is currently a council member of a large independent P-12 school on the Gold Coast. This webinar is suitable for accountants and lawyers advising not for profits, and executives working for not for profits and charities – Australia wide. This webinar is for practitioners with some knowledge in this area and looking to improve their knowledge. Live webinar delegates will receive a CPD certificate for attendance at this webinar. Accountants can claim up to 2 CPD/Training hours. Lawyers can claim up to 2 CPD units/points – substantive law. This webinar has been designed to run for 2 hours, however, webinar lengths can vary depending on the level of questions and discussion, and the minimum length of the webinar is 1.5 hours.